We've asked Peter Riddell, leading political commentator and an Assistant Editor for The Times, the same questions on opinion polling we asked Stephan Shakespeare of YouGov, Andrew Hawkins of CommunicateResearch and Ben Page of Ipsos Mori. You can watch their answers here and you can read Peter's answers below. Blair is still in office. The public have yet to see Brown in Downing Street. Then there's the silly and party conference seasons. When will be a good time to start taking the headline polls seriously again? Headline polls are only one part of the polling picture; and often non-voting intention questions are as, if not more, interesting. The mere fact of Brown being in 10 Downing Street will change public views. However, it is likely to take some time for the public to take a firm view of him. So keep watching the polls from next week on, but we will not be clear on trends until October/November at the earliest. The traditional view is that governments are most unpopular in the middle of their terms and their popularity generally increases closer to elections. In this era of constant electioneering does that historical pattern still hold true? It all depends on how Governments perform-- some see their poll ratings improve as an election approaches, others like the Tories in 1997 do not. I think what matters is less constant electioneering which excites the political and media worlds than deeper, underlying public views of the parties and their leaders which when formed are hard to alter. For instance, the public made up its mind against William Hague in 1999 and that view was impossible to shift. What do you think of Robert Worcester's belief that economic competence, party unity and leader image are principal determinants of a party's success? Yes, party's success depends on a mixture of economic competence, party unity and leader image, but this is a pretty all-embracing statement covering most influences. I think you have to distinguish between absolute and relative views. People may be cool about, say, Labour after Iraq but still prefer it to the Tories. Do you think that public opinion moves more quickly or more slowly than in the past? It is always best to stand back and look at underlying poll trends rather than fluctuations in one or other poll, and, invariably, the more sensational the shift in voting intentions in a poll, the greater the coverage. So rogue polls get more headlines than boring ones confirming a trend. The trouble is that you can never be absolutely sure it is a rogue until later. Are Liberal Democrat voters a largely Conservative or Labour-leaning group? You cannot generalise about Lib Dem voters. It depends on the constituency where they live (is there a Tory or Labour incumbent) and who is in government at the time? In value terms, many Lib Dems are closer to Labour but that has not prevented tactical voting against Labour, as in the 2005 elections. TaxCutter: Do you think the Taxpayers' Alliance would have become the, thankfully, successful group it has, had the Conservatives in recent years countered the government with a more traditional tax cutting policy? What do you think is the most effective way on an issue such as tax of changing or forming public opinion? With the exception of the United States (where I’m replying to these questions from the National Taxpayers’ Union conference), taxpayer groups only generally succeed where there isn’t a major party committed to lower taxes. There wasn’t a pressing need for a TaxPayers’ Alliance when Margaret Thatcher was Prime Minister – Geoffrey Howe and Nigel Lawson did a great job cutting taxes – but as soon as taxes began to rise under John Major the political space emerged for a UK taxpayer group. Now the TaxPayers’ Alliance has emerged, I hope that it has a role to play regardless of the future positions taken by the political parties, because taxpayers desperately need a group to represent them in the corridors of power and to provide some counterbalance to the countless groups arguing for more spending and therefore higher taxes. Regarding public opinion, you are absolutely right that this is the key. If I go to a politician with a 100 page pamphlet setting out the case for lower taxes, the chances are that their eyes will glaze over and they’ll put it in the round file once I’ve left the room. However, if I give them an opinion poll demonstrating that people in their part of the country want lower taxes and show them a leaflet that our activists are delivering in their constituency calling for lower taxes, there’s a chance they’ll take an interest. This is why our focus is on changing public opinion and the way that we’re doing this is to demonstrate that their money is being wasted, to show that there is room for tax cuts and to show how lower taxes help families and create jobs. Umbrella Man: You started TPA only a few years ago and it's grown very fast. What advice would you give to someone starting something similar? The key reason for the TPA’s success, Umbrella Man, is that we represent a group in society – taxpayers – who are incredibly important but who have never had a unified voice in the media. When I worked at the European Foundation, I saw how Business for Sterling managed to dominate the European debate within a short period of time by running a competent media campaign and by building a credible coalition of support for their position, representing every group from businessmen to trades unionists to environmentalists. My advice to new groups would be to establish yourself as a single-issue campaign group. I think the age where the media automatically reported every new publication from a multi-issue think-tank, just because it represented the view of an expert sitting in SW1, has gone. The cost of political action has massively fallen, allowing organisations to emerge that represent disparate groups of people. If you can credibly claim to represent a certain group or point of view in society, you will be successful because you will get media coverage. Any questions for Warwick Lightfoot? 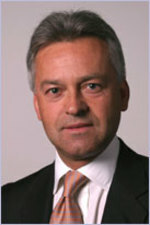 Warwick Lightfoot was the first candidate to campaign to be the Conservative challenger to Ken Livingstone and he has written for ConservativeHome about his vision for London. Born in Barnet he was brought up in Devon. 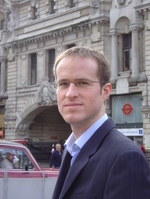 A professional economist Warwick has worked in London’s international financial markets and in the public sector and has been Special Adviser to both the Chancellor of the Exchequer and the Secretary of State for Employment. You can visit his campaign website here. If you have any questions for Warwick Lightfoot please leave them in the thread below. Any Questions for Nadine Dorries? 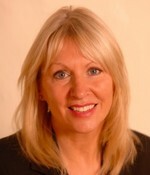 Nadine Dorries has three children and was brought up in a council house in Liverpool and started her working life as a nurse; she subsequently enjoyed a successful career in business and is a former director of BUPA. 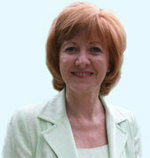 In May 2005 Nadine was elected as the Conservative Member of Parliament for Mid-Bedfordshire. Previously she was an advisor to the former Shadow Home Secretary & Shadow Chancellor of the Exchequer Oliver Letwin. Nadine is also a blogger and her blog won the Parliamentary Blog Award at this year's ConservativeHome Blog Awards. If you would like to ask Nadine a question please leave it in the thread below. Victoria Borwick, contender for the Conservative nomination for Mayor of London, answers your questions. The Known Universe: Who are you? Very existential! But for the purposes of the mayoral race, I am a Conservative, a businesswoman, former finance director at Conservative Party Headquarters, mother of four children, and a councillor in Kensington and Chelsea. I was born in London and have lived here all my life. I held senior management positions with P&O and DMG World Media and my business skills cover areas such as strategic planning, analysis and project management. I have worked on this campaign twice before – the first time as Steve Norris’s deputy. I am chairman of K&C’s Borough Community Relations Group and I spend a lot of time visiting the poorer parts of my patch on the estates in North Kensington. I am passionate about London and want to see it achieve its potential as the greatest city on earth. Edward: Doesn't the fact your campaign is so focused around Ken show that he is very much in charge of this campaign. Shouldn't it be more positive? My campaign is not focused around Ken. I have clear, positive priorities. Cutting crime, freezing or reducing the Mayor’s share of the council tax – now £300 a year for the average family, professional management of City Hall and value for money across London, improved public transport and an end to the congestion charge because it does no good and a lot of harm. I also want to see London become a greener city, but through the application of the latest technology, not fines and penalties. See, I haven’t mentioned Livingstone once in that list. But I do believe that a key part of the mayoral campaign is to bring home to Londoners the damage Livingstone is doing to our city. Any questions for Victoria Borwick? Victoria Borwick is standing to be the Conservative candiadate for Mayor of London. She was born in London in 1956 and has lived in London all her life and is married with four children. Victoria is a councillor in Kensington & Chelsea. Visit her campaign site and click here for her new campaign video. You can leave questions for Victoria in the thread below or you can email them here. The Deputy Editor of ConservativeHome answers all of your questions (in the order they were asked). Anonymous: Is it true that Conservative Home is run by a bunch of evangelical, right wing Tories, who are yet to come of the closet? Matthew Dear: Hi Sam! Some people might be envious of the opportunity that you've had to get into this exciting and cutting-edge world. Is succeeding at something so new down to luck, or sheer bloody hard work? Bit of both. As you say it is very exciting being at the confluence between politics and new media, and I do feel very fortunate of the opportunity. Frequent brainstorming helps us stay ahead of the curve in such a new industry. A lot of ideas don't work, it's just a matter of bashing on. It is hard work to sustain though, and you can't underestimate the mental burden of trying to be comprehensive as well as on top of breaking news. I imagine it's like being a newspaper editor but with more relentlessness as instead of daily deadlines you may need to update it at any time.